Be the beautiful precious stone that you are with our delicate Turquoise dust. Sparkles all round! 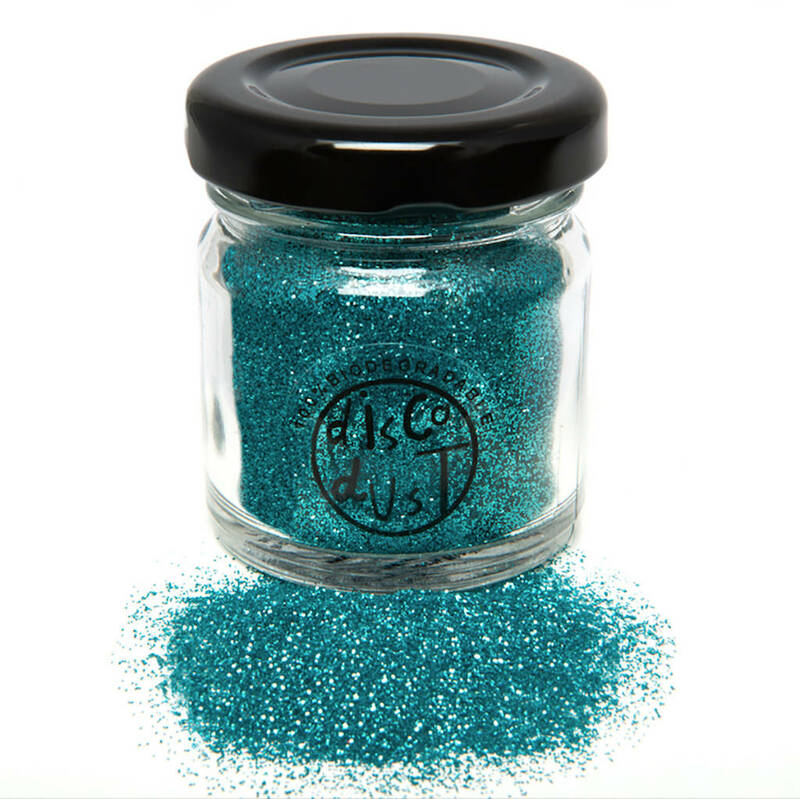 Press your glitter onto the gel using a brush (clean your brush between uses) build up colours/density waiting for gel to dry between layers. 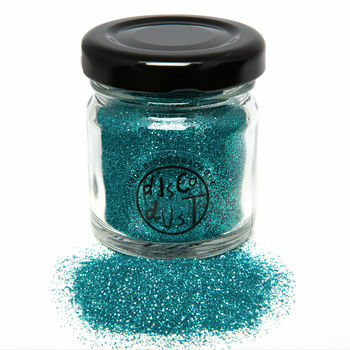 Please note: If unsure, we advise to test a tiny bit of glitter on your skin before applying it to any larger areas. All glitters are EN71 tested and are safe for cosmetic use. Vegan, cruelty free and biodegradable. Custom mixes are available. Message us via the 'ask seller a question' button for more information. Cellulose, Glycerin, Aqua, Urea, Styrene/Acrylate Copolymer +/- CI 15850, CI 11710, CI 77266, CI 77891, CI 74160, CI 77000. This product is dispatched to you by DISCO DUST LONDON.